Hand-forged in Seki Japan, these exquisite, large-scale spatulas reflect skills honed over centuries of sword making. They're longer than most other spatulas, for better coverage and remarkable stroke potential. 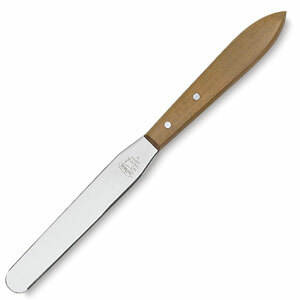 Each spatula has a polished stainless steel blade and solid wood handle.